Next Step: Tell the world! It’s official! 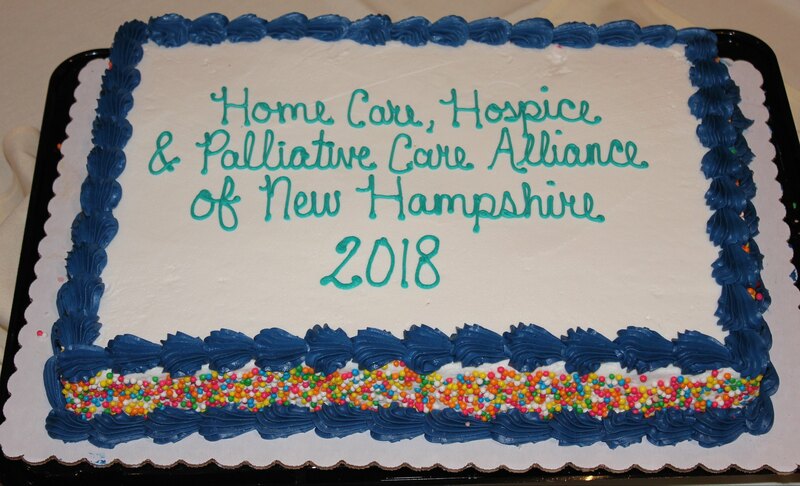 Your membership organizations have joined forces to become the Home Care, Hospice and Palliative Care Alliance of New Hampshire. We are confident this change will serve patients, caregivers and agencies in New Hampshire well as we look toward the furniture as one whole entity. Pictures from the Annual Meeting and merger vote are linked below. Congratulations! View the information provided to members at the April membership meetings as well as in conference calls and webinars this month. Any questions regarding the merger process should be directed to Gina Balkus, CEO of the Home Care Association of New Hampshire or Janice Dermott, Executive Director of the New Hampshire Hospice and Palliative Care Organization. Raffle to Benefit Nursing Scholarship!